Self Initiated Project, Research – Chivalry Architecture. 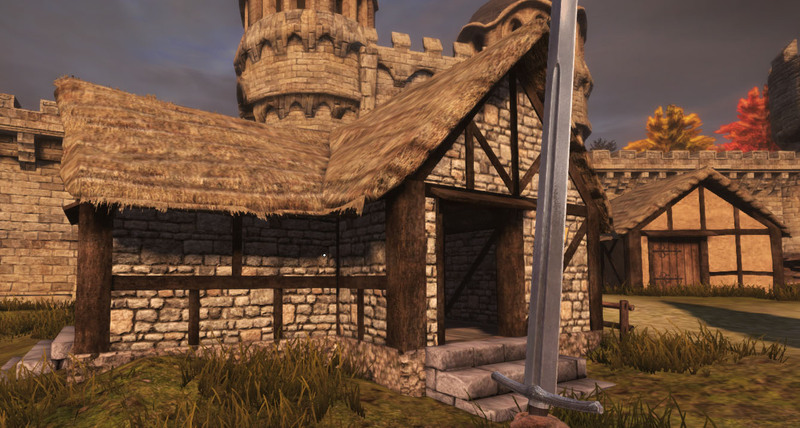 I looked at some of the architecture in the map Stoneshill on Chivalry Medieval Warfare because it’s a similar look and design to what I have been planning, here are some screenshots I got.. I like the variations in wooden support beams, especially in the first image as it’s a none uniform design and looks like it’s been rushed or built by someone who wasn’t a builder. A slightly larger building with a different style of roof adds some variation to the environment. 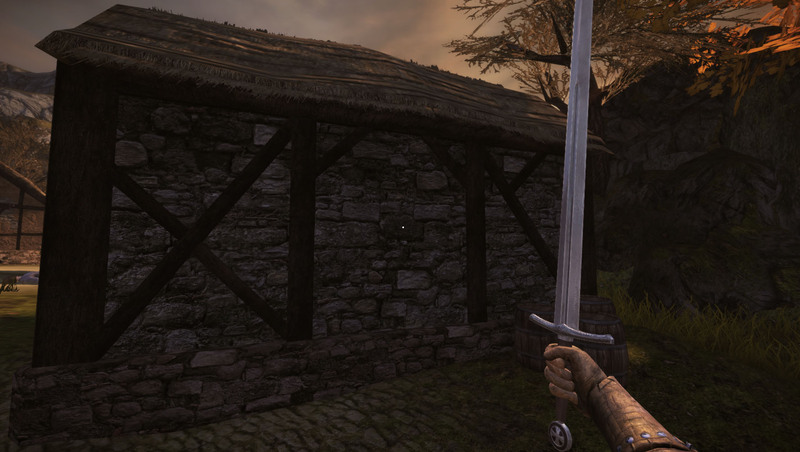 Self Initiated Project, Research – Chivalry Medieval Warfare. 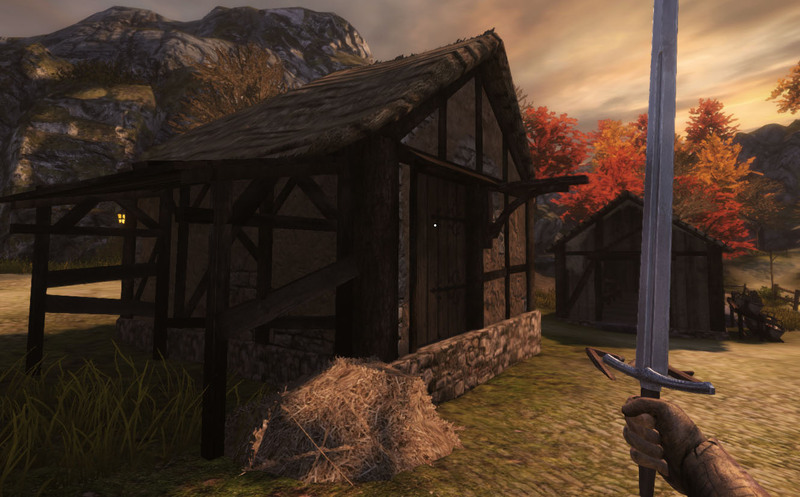 Chivarly Medieval Warfare is an multiplayer action game devolved developed by torn banner studios and is based on the Half Life 2 mod Age of Chivalry made by the same developers. 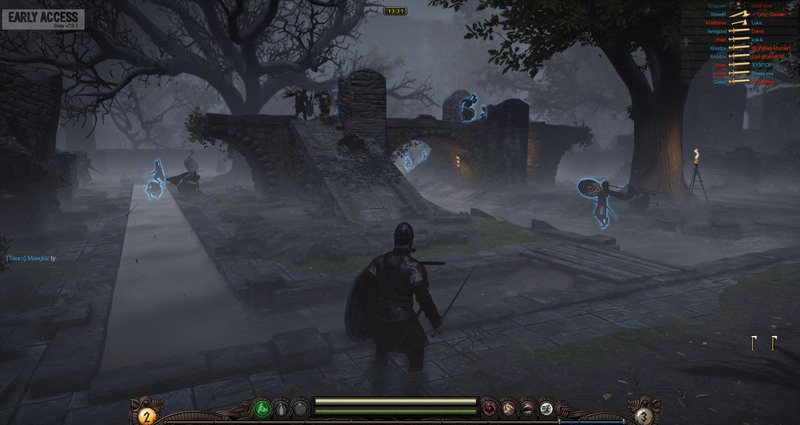 It’s set in a medieval setting as you would expect going by the name and the combat is primarily based around first person melee combat although range also comes into play with archers and crossbowman. 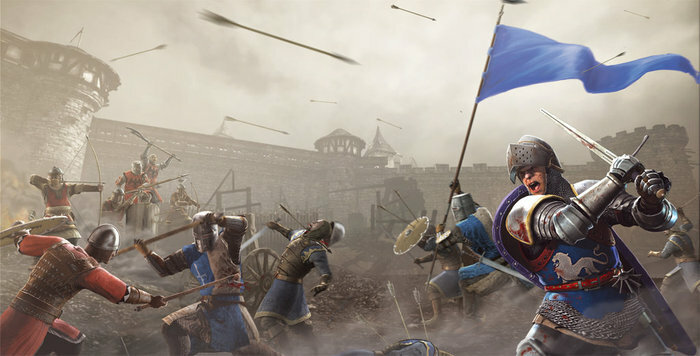 The game is set in the fictional nation of Agatha where there is a civil war and you can pick to play as either the Agathian knights or the mason order. The gameplay itself is very brutal and gory so it’s recommended to only be played by 18+. There are a few reasons why I have been playing it and researching it, the main reason being that it’s set in a medieval setting with similar gameplay to what I would imagine on my map/environment. Another reason is because it is made in Unreal Engine 3 which is what I am using, this gives me an idea what is possible to create. 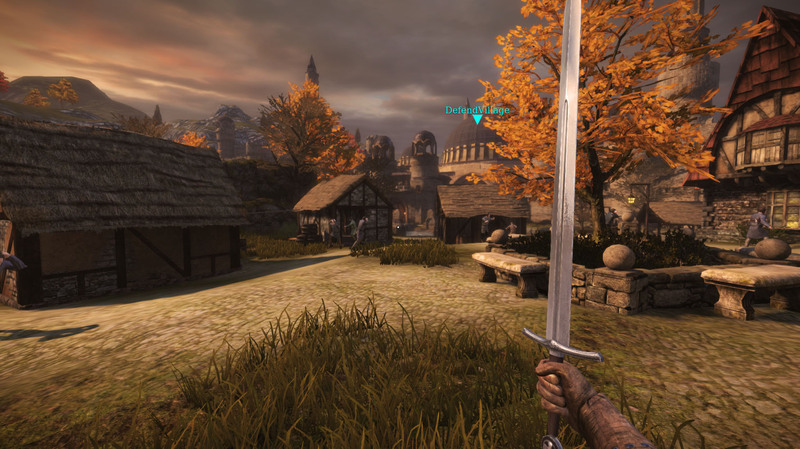 Also one of my peers informed me that you can create maps for Chivalry using there own version of UDK which is free to download, so hopefully when I’ve finished my map I will be able to play it on Chivalry but I haven’t looked too much into it yet. The game has a class based system which allows you to use certain weapons, each class has a primary, secondary weapon which is normally and dagger or short sword to pick and a special item which can be a variety of items from a shields to throwing knifes. You unlock new weapons by getting a certain amount of kills with the previous weapon on the grid. 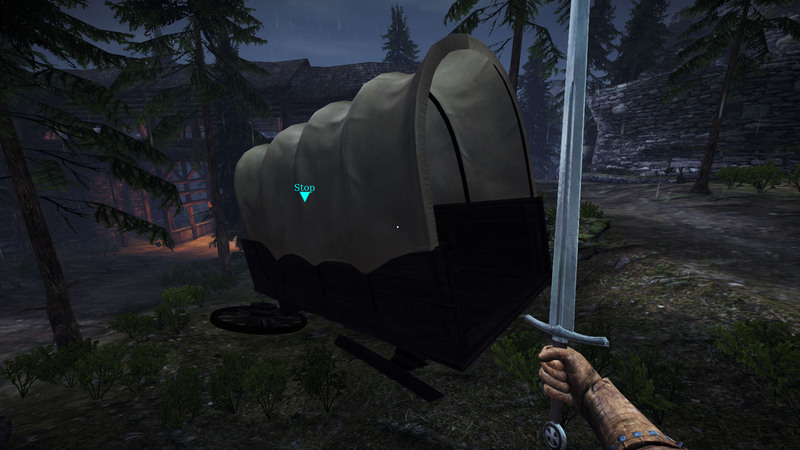 Archer – The archers uses the ranged weapons in the game which are bows, crossbows, javelins and slingshots. Their special ability is that they do 50% more backstab damage. Man-At-Arms – The Man-At-Arms class is the light melee class and uses weapons like hatchets and swords. Their special ability is evasive which allows them to dodge. Vanguard – The Vanguard is a powerful class that uses long range melee weapons like great swords and spears, these deal out high damage. Their special ability is charge which lets them perform a sprint attack. Knight – The knight is a powerful tank class that can take high damage and deal high damage, this is balanced by it being the slowest class, they can use weapons like the long sword and double axe. Their special ability is to take a lot of damage and it takes less stamina to block. 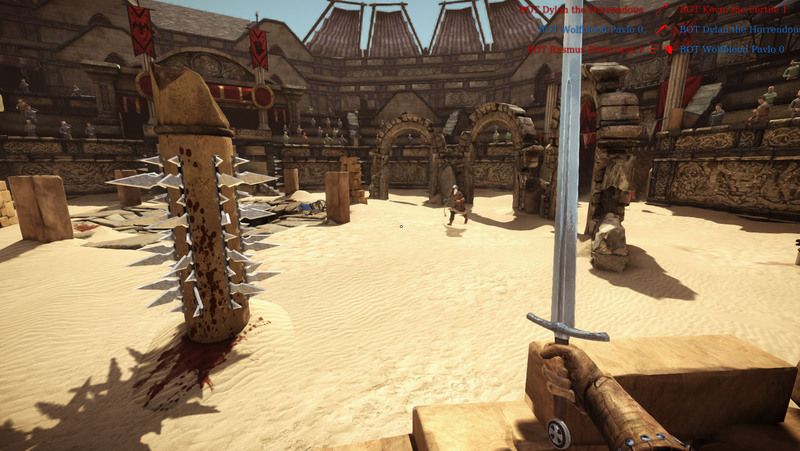 Arena – Arena is a small map with a gladiator theme, there are lots of elements in the map that can damage you like spike columns, fire and a spike pit. The main area of the map shown above isn’t really too useful because my map is based in a village. The starting area of Arena is inside and has some weapon racks, tables, chairs, barrels etc. Something I hadn’t thought about is having practice ranges in my map/environment. Battlegrounds – Battlegrounds is a large map with multiple game modes played on it, it’s set outside of a castle that is being besieged. The map is a good one to look at because the weather is the same gloomy overcast style I will most likely be using for my map. There are a lot of assets on this map that I will be creating for my own, some that I hadn’t thought about like a roasting pig. Dark Forest – Dark forest is a medium sized map which is most popular to play for team objective where you have to push a cart up a narrow hill. Stoneshill – Stoneshill is a map where you play in different areas for different game modes, for team deathmatch you play inside the castle and the courtyard. 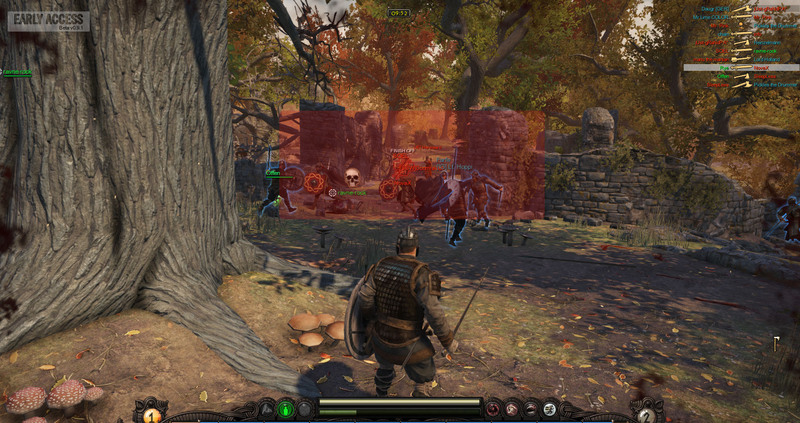 For the team objective game mode you play outside the castle in the village. This area was more useful with it being a village. Self Initiated Project, Research – War of the Vikings. 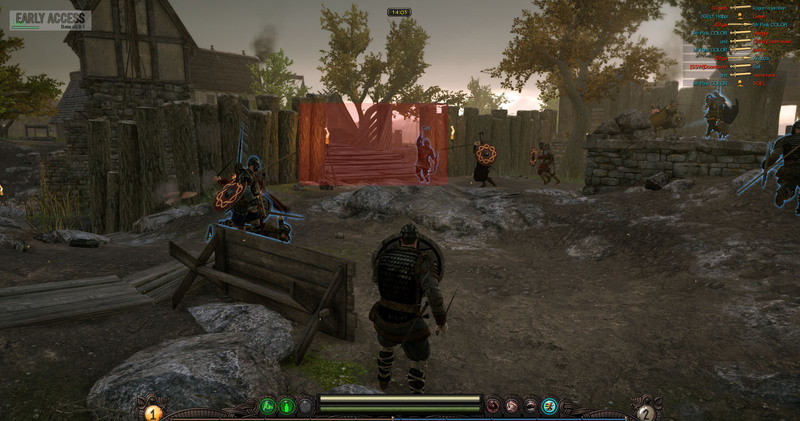 War of the Vikings is an action game in early access beta developed by Fatshark and published by Paradox Interactive the same companies that developed and published War of the Roses. 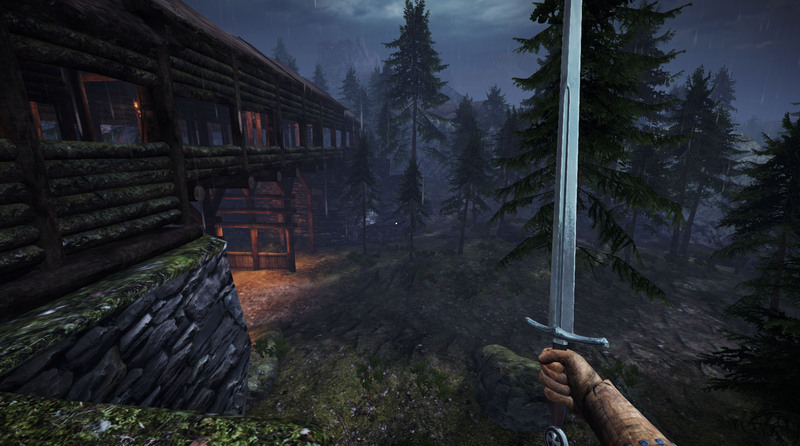 You play as a single warrior either a Viking or a Saxon in a third person perspective. 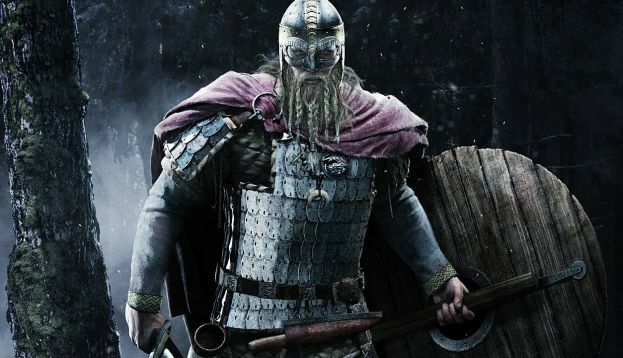 You can customize your characters for both factions, this includes armour, shield paintings, beards, weaponry, perks and crests, so play style and aesthetical changes, this allows you to create a character to fit how you want to play the game. 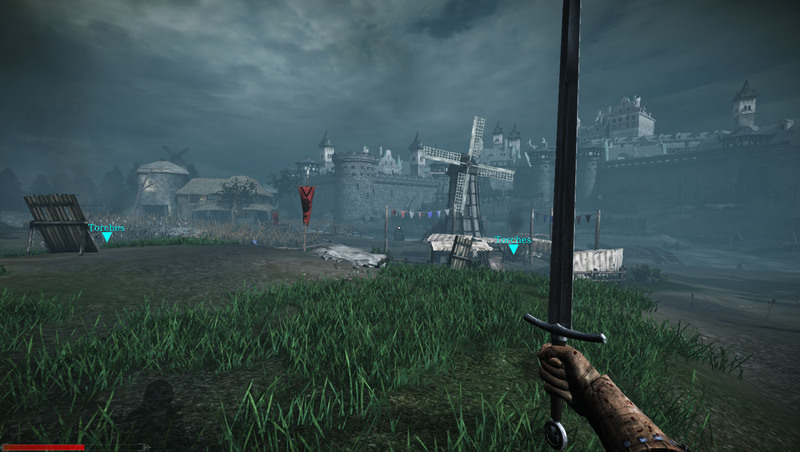 The gameplay is very close quarters combat with an emphasis on blocking an opponents attack and trying to deal damage to them with your own attacks, you do this with a variety of weapons like daggers, swords, axes, polearms, two-handed swords, two-handed axes etc. It’s not limited to close combat though their are also bows in the game for long range gameplay and throwing weapons like throwing axes, daggers and javelins, this blends nicely with the close quarters gameplay though and isn’t overpowered. The game has only been released for PC so you use mouse and keyboard to play. The melee attacks are either left, right or overhead swing and are controlled by moving the mouse cursor in the direction you want to swing and pressing the left mouse button, holding it for a more powerful attack. Blocking is the same but you press the right mouse button instead and the bows are used by right button to aim and left button to fire. Other abilities you have are dodge (alt), bandage (b), sprint (hold shift), crouch (ctrl), jump (space bar), throw weapon (click mouse wheel) and a special attack (f). Arena – In arena you only get 1 life so when you die you have to spectate, last team standing wins. This game mode is played on smaller maps because this keeps the rounds quicker, if the rounds in the game went on for too long people would just be impatient and leave. Team Deathmatch – In team deathmatch you respawn and are trying to kill the opposing team players with the team that reaches 100 kills first wins. Team deathmatches are played on bigger maps then arena so that when you respawn you don’t get immediately attacked, it also gives players a chance to get out of the action and bandage up. Conquest – In conquest your teams goal is to capture all the objective points, each team spawns at 1 side of the map and have to fight to get all the points. Played on the same maps as team deathmatch just with more direction of where you need to go because of the objective points. Gamemodes: Arena, Team deathmatch, Conquest. Cliffs is a big map but narrow and runs you along a cliff side. 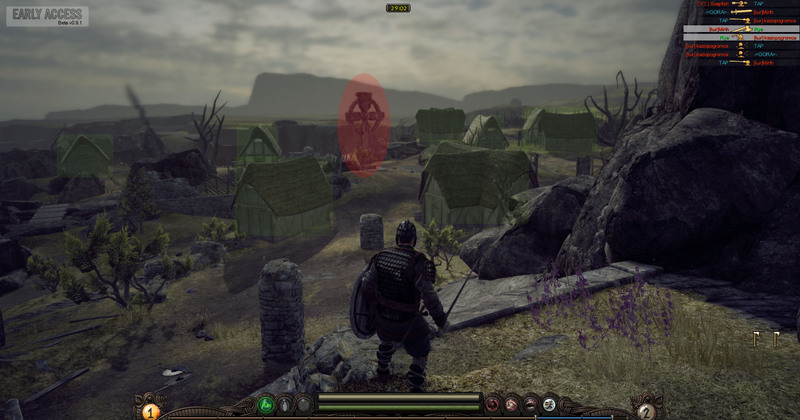 There are many buildings scattered around for cover and a large statue in the center of the map so players know where they are on the map by locating it. At one side of the map is a large church and a bridge, the church courtyard is where the Arena gamemode takes place with the bridge closed. The bridge also acts as a good choke point and last stand in Conquest as a team defends there last capture point. Sanctuary is a very small map because Arena is it’s only gamemode. When you spawn you can immediately see the opposing team, the central platform is used for cover and a vantage point for archers nearer the end of the round when there aren’t as many players alive. Forest is a very big open map with no clear routes to travel on which is why Conquest isn’t played on it at the moment. There are a lot of ruined buildings, foliage and vantage points so it is a very good map for archers. Some choke points are created by the ruins but there is always more then one route around the flank. Docks is a medium sized map compared to Forest and Cliffs but relatively big if comparing it to maps in other games. This map has quite a clear route in which the players from each team will go making it a good map for Conquest. The bridge is a key point in the map and where most of the fighting happens because everyone gets bunched up there. There are flanking opportunities with players being able to use a ladder to climb down and run through the shallow river. 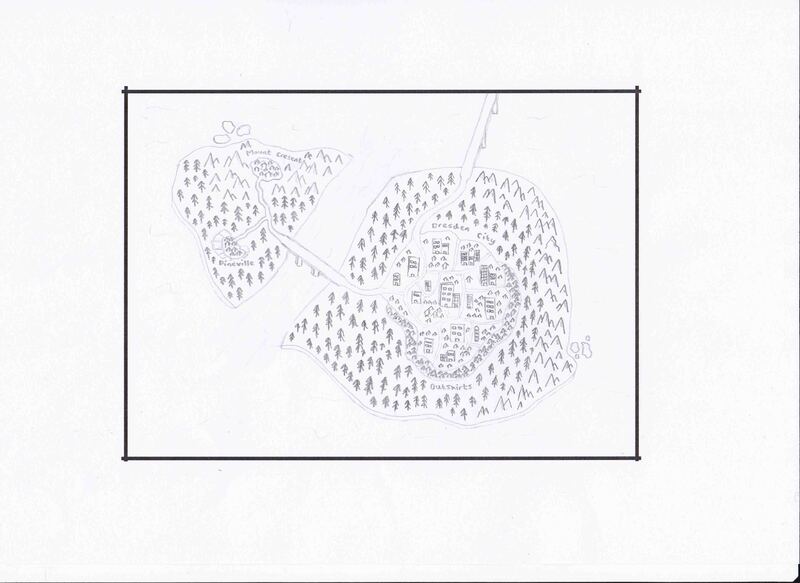 Self Initiated Project, Research – Multiplayer Map Design. 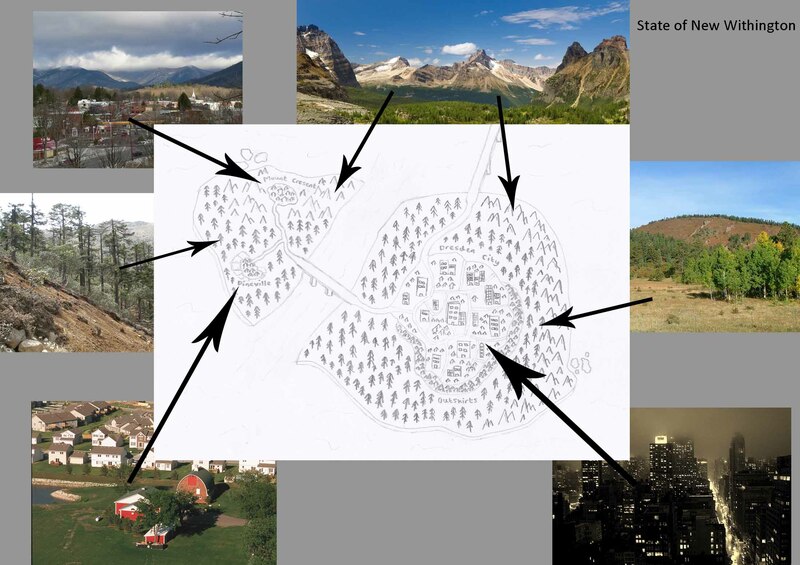 Because my project is to create a multiplayer map I have been researching what level designers need to think about, plan and design when creating a map. Most of the research I have come across is for first/third person shooter map development so some parts aren’t fully relevant but it’s still good information to know for my project and possible future projects. Establish what your game is, for example Gears of War is cover, teamwork, flanking. Clear lines of sight and a focused combat front important. Iteration is king, look at everything and ask ‘How can I make this better’. Some images and part of the presentation can be found here. Flow is a key part involved in any multiplayer map, this can be just how the players naturally move around but also can be pickup placements and capture points in gamemodes as this changes the players needs. Movement around a map is key for any multiplayer game, if a player can’t easily move around and is always hitting dead ends or places where they need to double back to get where they need to go this will break the flow of the map and not be an enjoyable experience for the player (Bad Flow), keeping the player moving is important. The ‘O’ or ‘Circle’ design is the most simplistic flow designs for multiplayer maps, mainly in shooters. The ‘Figure 8’ is a more complex flow design with 8 shapes overlapping, this improves the variations of movement that can happen. Jim Brown talks about creating a ‘U’ flow design for Trenches because it fits better with the Gears of War style play then the ‘O’ does, it draws players into a line of engagement. One key point I picked up from my research which links in with flow is that map navigation needs to be as clear as possible, as soon as the player spawns they should know where they are, where they need to go and how to get there relatively straight away. This can be done by having focal points on the map, like large towers or structures that are visible from a distance, if the maps was all in doors this could be done by room colours or the type of rooms to make them memorable which would help the player indicate where they was. If a gamemode is objective based like capture the flag, or capture points on the map these need to be visible areas and easy to find for new players, this can be done by having visual points on the mini map, it can be also indicated visually by icons that the player can see from far away just from looking around. Easily identified areas are also important for teamwork, for example in gears of war there are weapon pickups to define areas so if a team mate calls out ‘two at nades’ you know that two enemies are at grenades and you will know exactly where that is on the map, in other games this might be done by different looking areas on the map or landmarks. Choke points can be effective in multiplayer maps because it funnels the players into a tight area where there will be a lot of action, this can also be a negative though if the choke point is the only route possible because this takes away a players choice. Choke points are very effective for the style of combat that would be played on my map (First/Third person medieval combat) because bottle necking players adds a good area for close quarters combat. 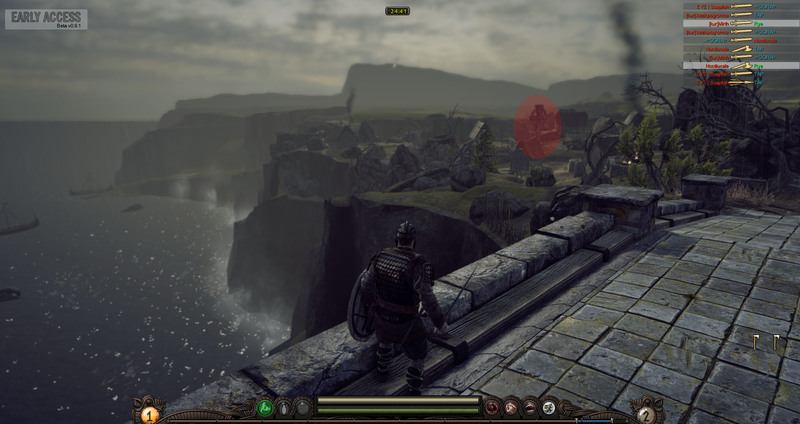 Multiple vertical levels or vantage points add variation to player choices and different things to think about as a player, it creates more diverse gameplay and not as linear as one level maps might be. Cover is important in shooters because players shouldn’t be able to shoot too far ahead of themselves, also whilst moving through the map players shouldn’t always be vulnerable. If the area is high reward for a good weapon pickup or power up it should also be high risk. For example in Gears of War the Boomshot and Torque bow are arguably the most powerful pickup weapons, these will be placed in the center of maps so both teams have equal chance to get them, this creates contested areas. This is a map I drew up to show the type of areas in my game.. This is to show what each area will look like.. I may colour the map in the future but for now I’m going to leave it as it is. Phillip Maclennan Games Design Blog. "Nothing Is Generic"
My world, the people, the places, the technology, the culture, the wars, the weapons, the deaths and births of many characters. More than just pretty pictures! Get Inspired. Go Crazy. Create. Games Games and more Games! Work, Work and Work some more.